Ooooh! 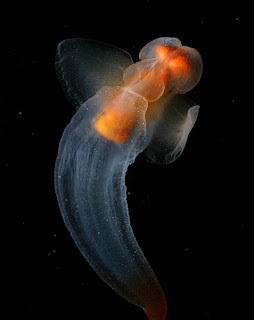 Today we are greeted by the ghostly sight of the Sea Angel. Flapping its wings, this tiny, translucent creature slowly makes its way through the water like some mystical being from the spirit realm. It's no wonder it's called an Angel! We'll just overlook those two, glaring horns on its head. 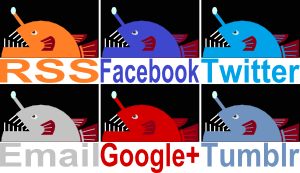 Those species in colder waters tend to be larger than those of warmer areas. The biggest ones are 5 cm (2 in) long, so we really are talking about tiny drops of the ethereal. But they can sometimes gather into huge congregations - some 300 individuals per cubic metre for the big, coldwater fellows. No doubt, such a mass of Angels affects each and every one of our lives in ways we can't even imagine. Probably involving chakras and mystical, pulsating energy from the centre of the galaxy or something. No doubt. So, assuming they even need to, what do these spectral spirit beings eat? Ambrosia? Fairy dust? Maybe they consume pain and fear itself, transforming it into love and happiness before excreting it into the world in a way that's all lovely and fragrant and nice and completely different from normal, earthly excretion. Our very own Sea Butterflies. Some Sea Angels eat absolutely NOTHING but Sea Butterflies. They might even focus all their attention on just 1 or 2 species of those delightful flutterers. Some... "Angels" are ambush predators. Others, while usually slow moving, are capable of a burst of speed to overcome their prey. They even have special muscles that are used for just this purpose, and they're left unused until bloodlust calls them to action. Once captured, the poor Sea Butterfly is grasped with tentacles that come out of the mouth. Hooks can then be used to pull the victim right out of its shell to be eaten whole, or it can be scraped out using the radula. I am aghast. Perhaps we shouldn't overlook those horns, after all. I guess we should move on to Lust. 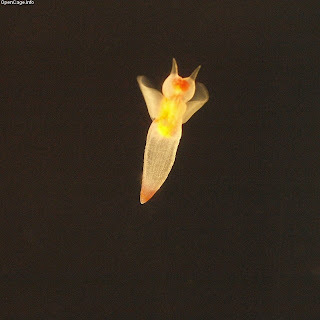 Sea Angels are hermaphrodite and lay a gelatinous mass of floating eggs. When these hatch, the larvae have little shells on their back. Within a few days they metamorphose and unburden themselves of this load. Probably because of Sloth. The beautiful, beautiful horned ones. angels devouring butterflies with such fervor! your writing always entertains! @shewalkssoftly: Ah! Well I'm glad I could reintroduce you to something so beautiful. @TexWisGirl: :D I'm glad you think so, and thanks! They look half-way between the Sea Butterfly and the Enypniastes. And I can STILL see their guts! Maybe we should get these guys some little tiny sweaters. It would probably make the cold temperatures more manageable. Hey! I hadn't thought of that half-way thing but you're right! Maybe I could just cut a couple holes in some thermal socks? I'm sure they'd like that! I am not a major fan of fishes (may be because I am a pure vegetarian) but hey I should admit that this Sea Angel is really a lovely one! Ha! Surely you don't need to eat a thing to be a fan of it? But yes, Sea Angels are pretty darn wonderful! Ah, yes! I was planning on getting to them soon!